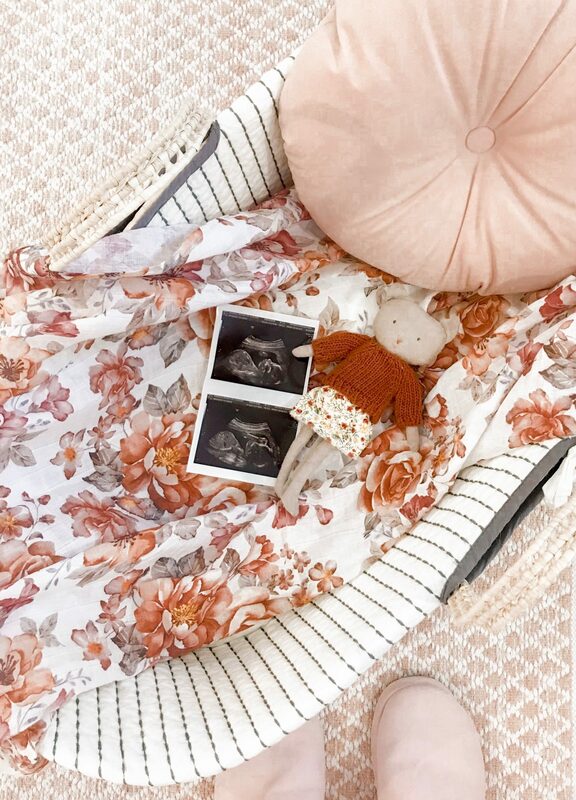 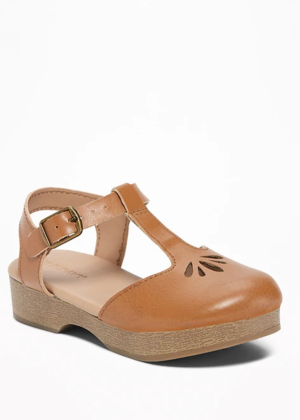 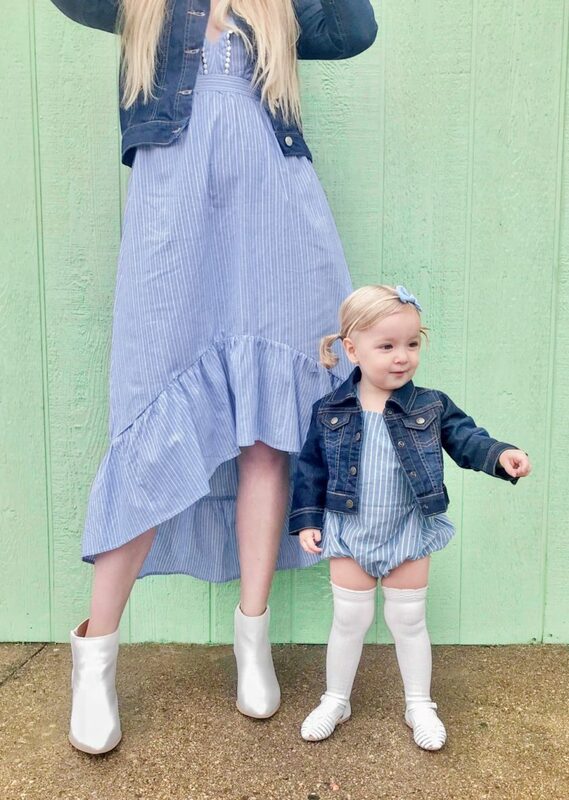 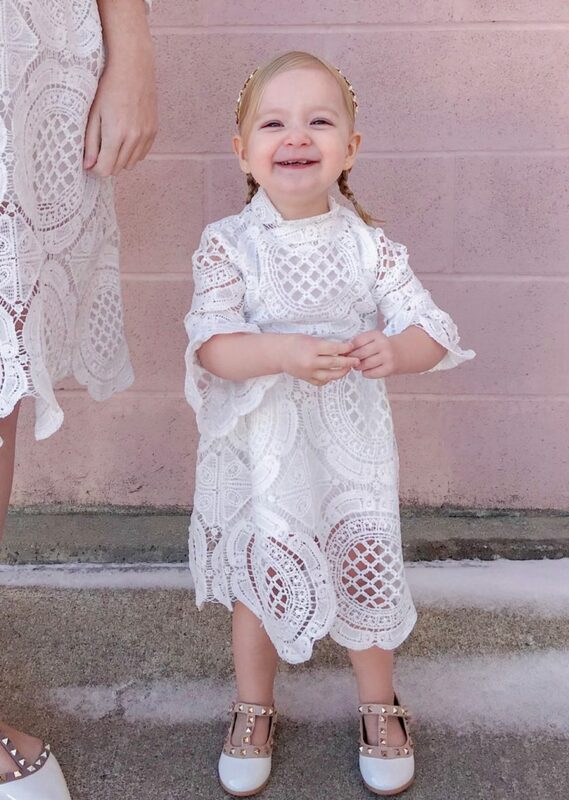 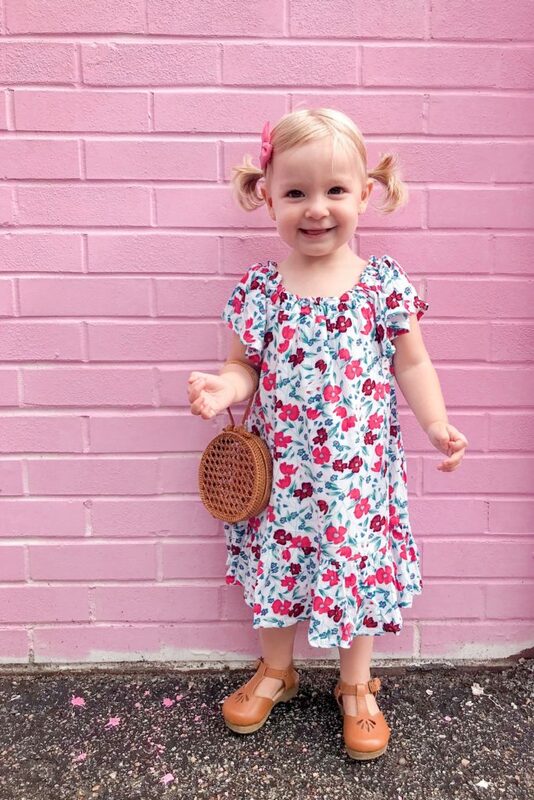 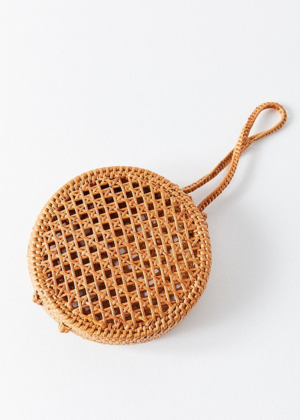 Everley has on her flutter sleeve dress, with her brown clogs and miniature circle bag, complete with two pink hair bows. 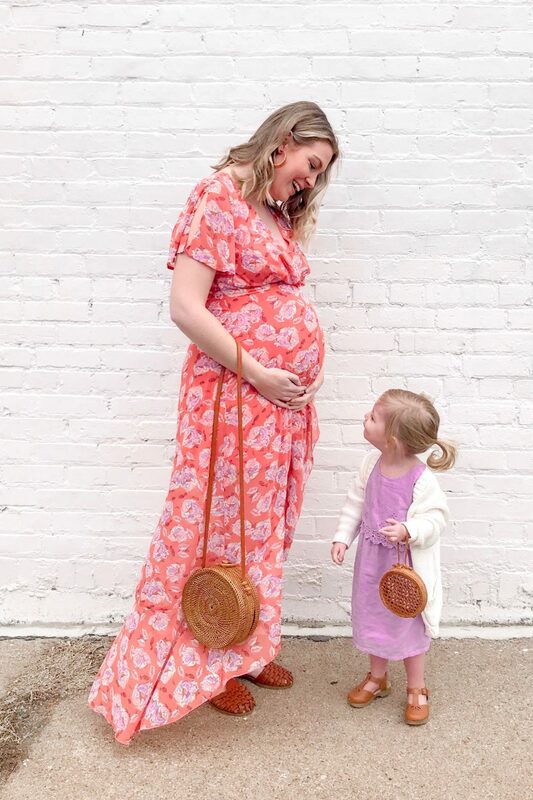 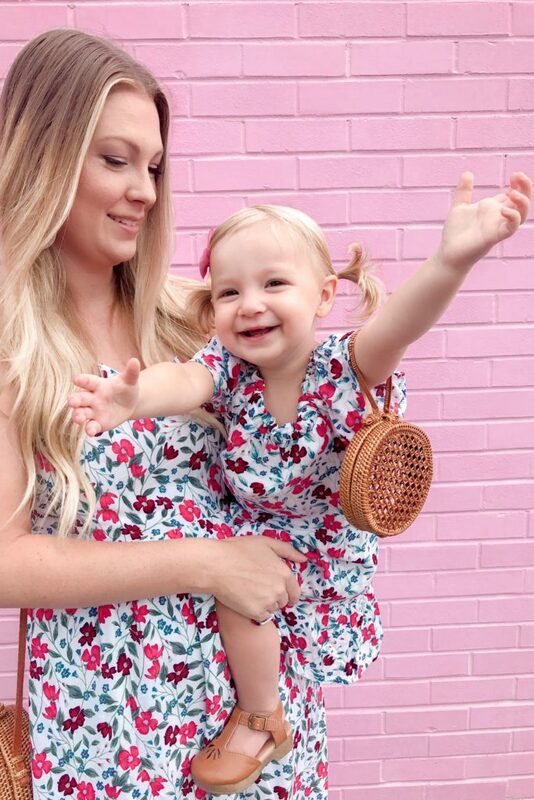 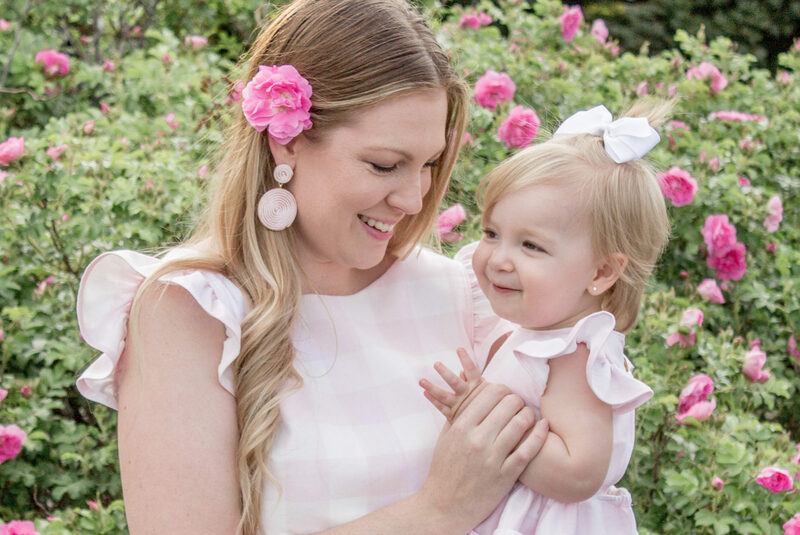 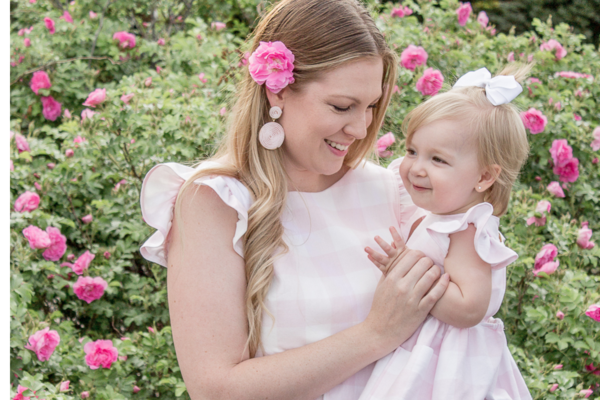 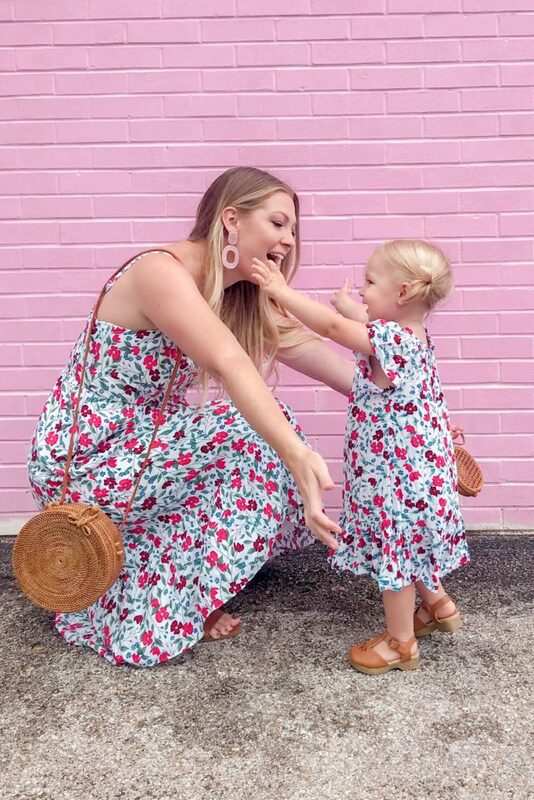 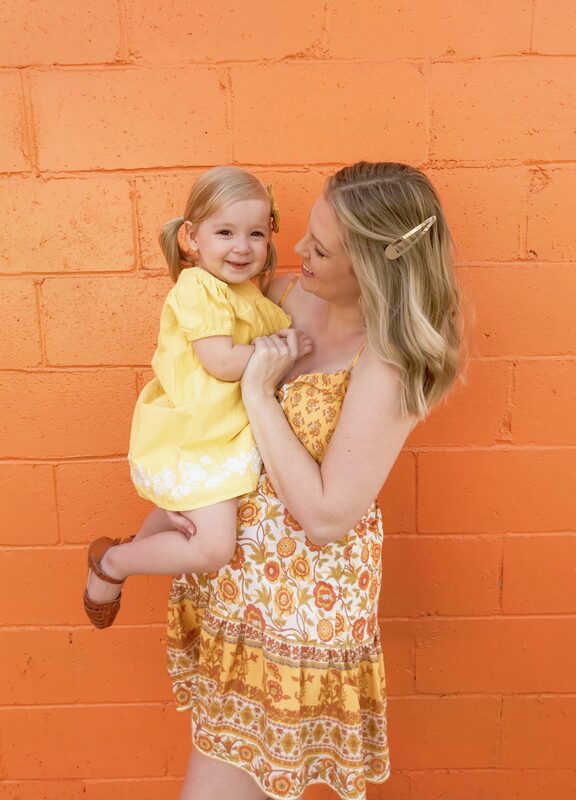 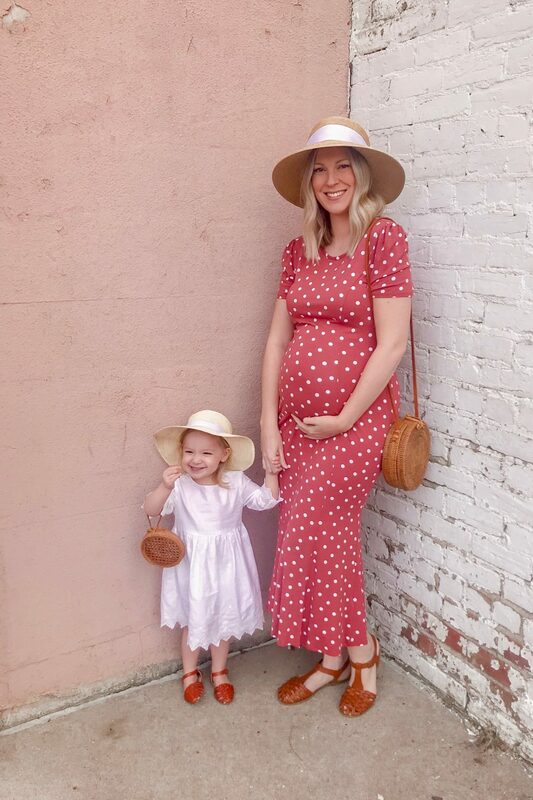 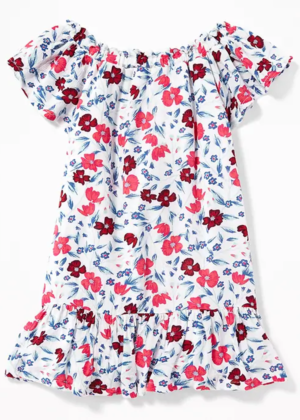 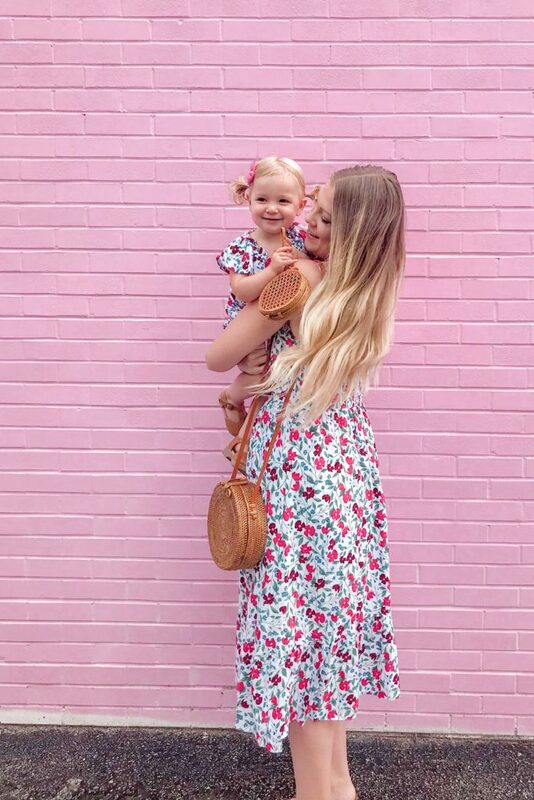 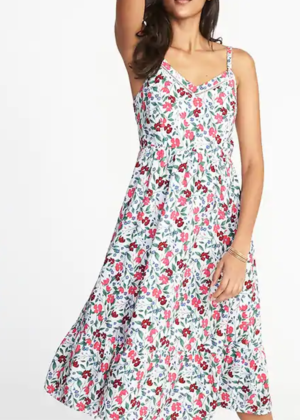 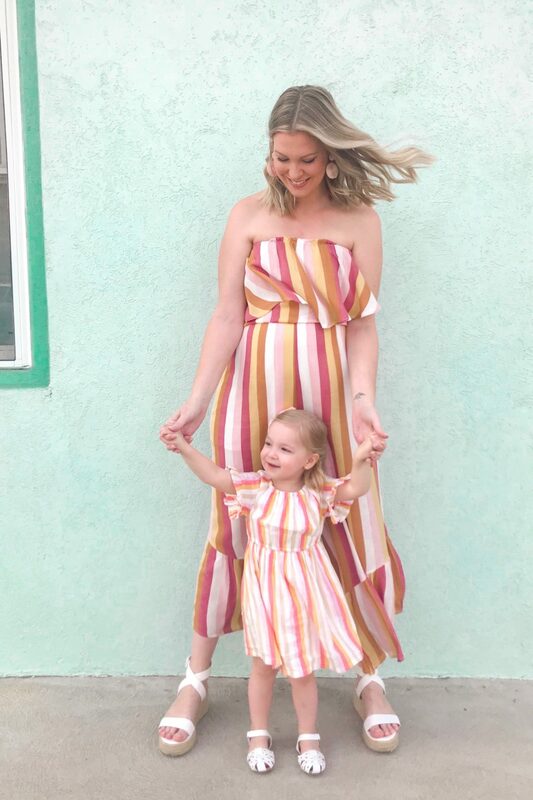 Brooke-Lyn is wearing one of the Old Navy floral dresses (here) to match Everley’s, with her brown sandals (last season, sold out, similar here), round rattan crossbody bag, and pink stone earrings. 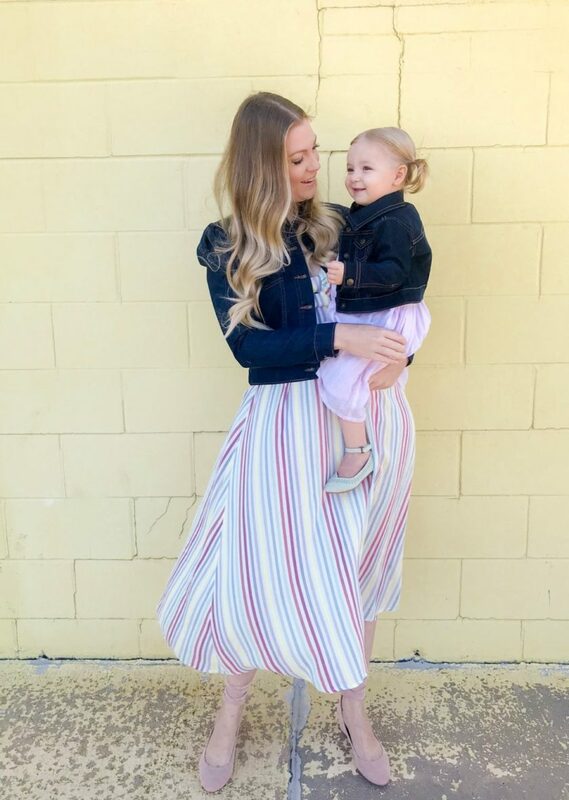 We love going the extra mile on Sunday’s when we get to see all our friends at church, who constantly say, “We can’t wait to see what you’re wearing next week”!